Here is the finest men shoe repair services in Brooklyn, New York. 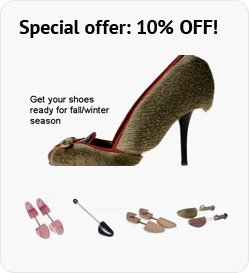 We understand and know your importance of caring for shoes and we do that with a professional touch. Our team of experienced and professional cobblers repair any worn out shoes to give it the elegance of a new look. Today, men have multiple pairs of official and casual shoes that create and add to their elegance to their dressing. We take care of your worn out shoes or boots, mending it carefully to bring back its elegant form. Our services are offered to every type of men’s shoes and boots. A proud family of cobblers with decades of experience offer professional services with cutting edge technology to give your shoes a new elegant look. We make your old and worn shoes and boots in any condition into better and long lasting footwear. It’s important to get your shoes repaired and serviced once a while as it can get worn out soon. With our finest service your shoes will last for longer period in good condition. We repair men’s shoes in such a way the shoe gets a long time and doesn’t wear out again. There is a high need of protecting footwear and its exquisite looks with better care and services that we offer. In today’s busy lifestyles, it’s difficult to care and manage shoes at home and therefore we work on your shoes with adequate care to preventing it from wearing out. A perfect pair of shiny professional shoes will do the talking at work getting a lot of attraction. Everyone has more than a pair of boots in their shoe collections. Boots last longer than regular formal shoes and needs extra care to increase its life term. We use all the best and safest methods for men’s boots repair. A perfect pair of boots will last longer than you expected if cared, repaired, and serviced regularly. It is common for people to throw away their old or worn out boots and shoes and buy new ones. However, we repair men shoes and boots of any condition and give it a new look. Few precautions taken at the right time may let the shoes retain their elegance longer, however, if not today, tomorrow will be the day to see the damaged shoe in the shoe cabinet. So, watch your shoes and mend your shoes the best way possible. Men boots repair is also remarkable done here as boots are the stylish things that can be worn with the trendy men. Fashionable boots are repaired eminently such as removing the stains, adding a shiny touch, stitching the torn areas and so on. Mending the existing shoes will offer more models instead of buying a new pair soon after damage occurring to the boots. Boots offer an icon like appearance to the men who wear and extends the same though they got damaged as we offer speck free service. Nothing can beat our impeccable craftsmanship and the wide range of repair services that encompass shoe repair, heels repair, shoe shine, stretch shoes and boots, belt adjustment and fixing, leather jacket repair, bag repair, men shoe repair, women shoe repair, luggage repair, dye leather and cut heels. I dropped my Feragamo shoes to Elegant Shoe Repair. Needed them to resole fast. They were ready next day. Excellent service and price! Hi, Nil. Thank you for your business!